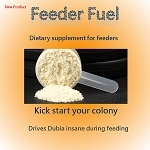 Keeping the proper food on hand for your Dubia and other species of feeders is the most important step in a healthy colony. 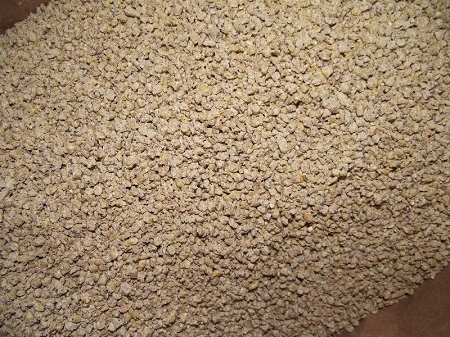 Ground up dog foods collect moisture due to their high fat content and create mold and mildew. Feeding to many fruits and vegetables will also destroy your colony an open you up for infestations of gnats, fruit flies and fungus.. What you read on the web about feeding is wrong. Keep premium roach chow down for your Dubia feeders around the clock and watch as your colony engorges on our premium blend. Specifically designed for Dubia roaches and reptiles. It's mad for your roaches and hey will eat it, cheaper compared to other stores who sell it for about the same price but not a pounds worth, if you were to buy a pound worth it's cost you like 10-13 bucks. I’ve been ordering from westcoast roaches for a couple of years now. Best source ever! 💯 behind their product! !